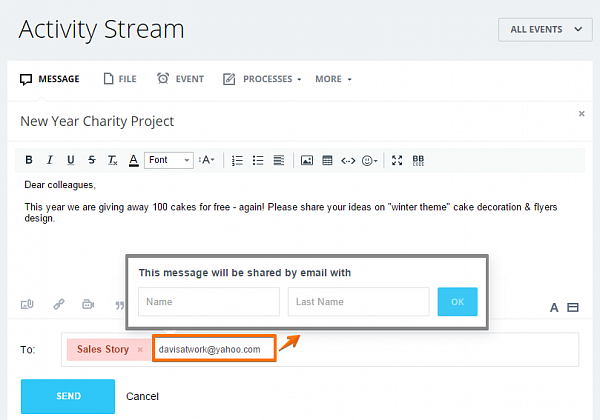 Bitrix24 Update, Part II released: ability to add email recipients to Activity Stream posts. It’s easy to involve your clients and business partners in discussion. 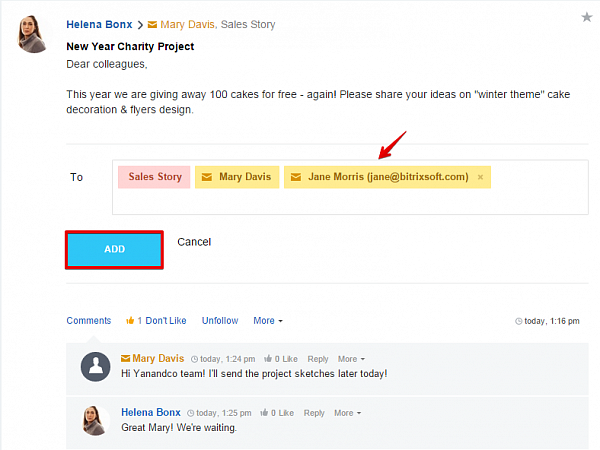 Bitrix24 collaboration tools are more powerful than email. The history of interactions is stored in your Bitrix24 account. While all Bitrix24 users involved in the discussion will receive regular notifications, the external users invited by email will get an email message. The post content will be shown in the email message text. 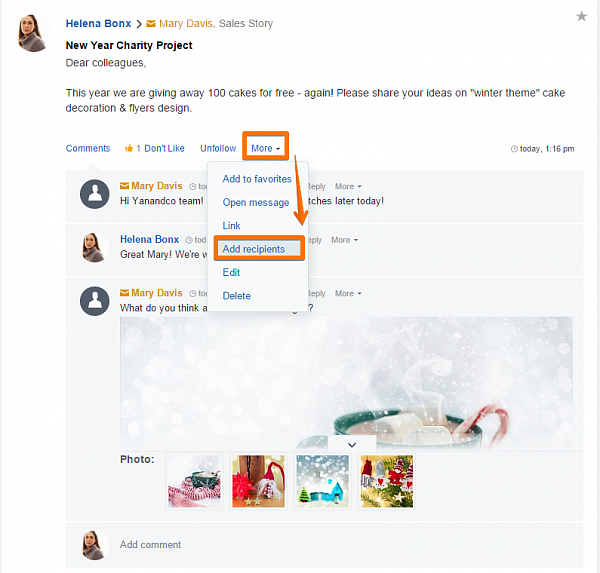 The external recipients will actually see the full Activity Stream post content - post author, text. recipients, links, attachments. 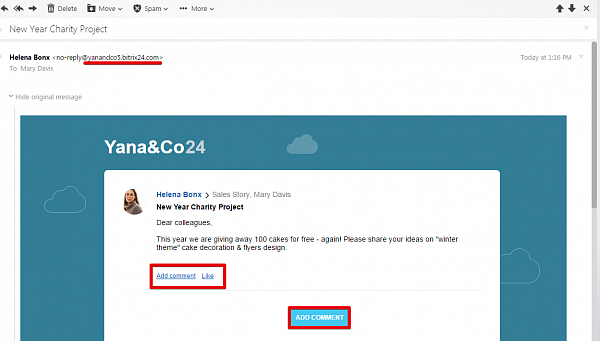 When email users click "Add Comment", they will be taken to a special secure web page that resembles Bitrix24 activity stream post, rather than your Bitrix24 account - this is done for security purposes. 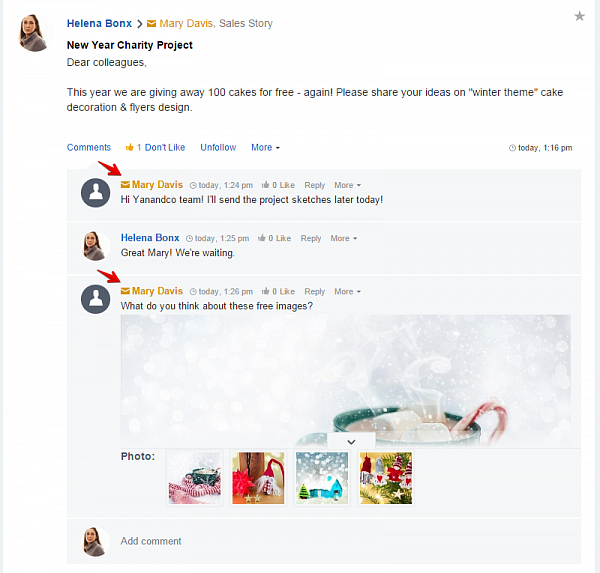 Here your clients, partners and other external users can add their comments to your discussion, send links, share files, etc. 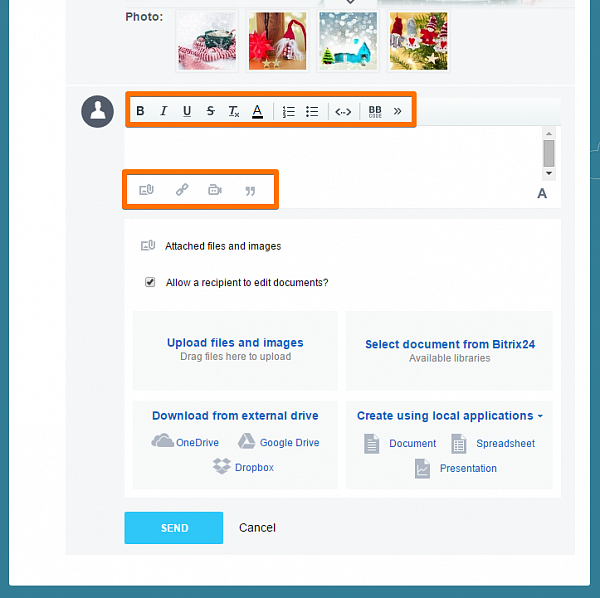 You will see these inside YOUR Bitrix24 account. The external recipient will be notified about all new comments to this post by email. If the subject requires further discussion the external user can stay on the web page & have a real-time communication with you and your colleagues. The shared Activity Stream post link is highly secured and is not indexed by search engine robots. This web page will automatically expired in 7 days or earlier, depending on which option your Bitrix24 account administrator has chosen. 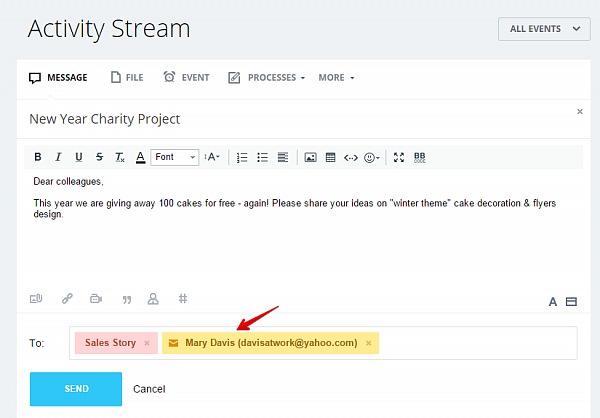 Another scenario is when you are already in the middle of discussion in your Bitrix24 Activity Stream and need to invite a new external user to the post. Now you can add new external users to the post at any level of discussion. The user will get an email with your comment and will be able to access full post history in a new web page. 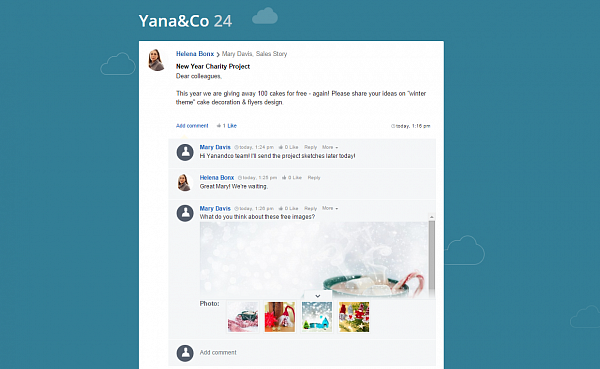 Bitrix24 is a place where everyone can communicate, collaborate on tasks and projects, manage clients and do much more.